If you are looking for pawn shops in Chula Vista CA, aside from buying jewelry, we also pawn jewelry, watches, coins, electronics, art, antiques and musical instruments. Not all Chula Vista Pawn Shops do the same type of pawning. Some pawn certain items and others don’t. We pawn only the items listed above, however, if you have an item that you think our local pawn shops should pawn check with us and we will let you know promptly if it is something we can do for you. If you are looking for pawn shops near me, we have locations in Chula Vista CA, La Jolla CA as well as Clairemont CA, La Mesa CA and Downtown San Diego, California. Our pawn shops in San Diego and Pawn Shops in Chula Vista pay in cash. no hassle, no waiting in long bank lines. Our pawn shops in San Diego and pawn shops in Chula Vista have friendly staff that make your transaction easy and smooth. Our pawn shops in San Diego and pawn shops in Chula Vista pay high payouts for your jewelry, gold silver, diamonds, coins, watches, art, antiques and electronics items. We also pawn cell phones, computers, laptops, iPads and some other types of electronics. We are conveniently located in Downtown Chula Vista with additional locations throughout San Diego. We also can do consignment for items we do not pawn or buy. We can always give you an offer to buy an item if you decide to sell it. Our facilities are air conditioned and our staff go out of their way to help you with any questions you may have. So come visit our Chula Vista pawn shops or San Diego pawn shops and see for yourself why so may of our customers come back and refer others to us. Call Cortez Pawn Shops in Chula Vista CA or Cortez Pawn Shops in San Diego today at (619)270-1132 or click here to contact us. 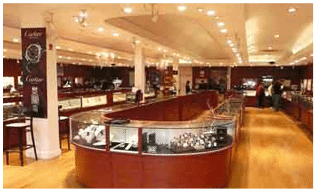 In general there are many Chula Vista pawn shops in Downtown Chula Vista. Cortez pawn shop in Chula Vista is a 3rd Avenue pawn shop located in the heart of downtown Chula Vista.